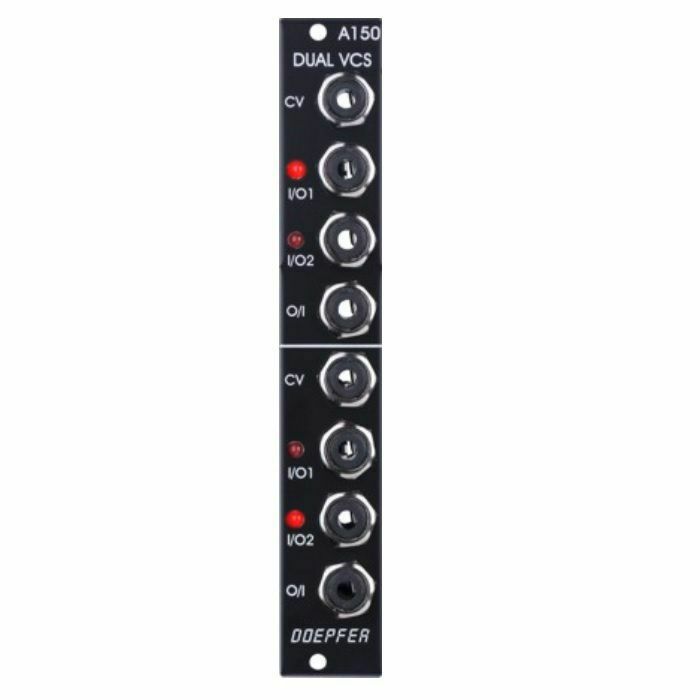 Module A-150 (Dual VCS) contains two separate voltage-controlled switches. Each switch has a control voltage input, a common Out / Input, and two In / Outputs. The switches are bi-directional: they can work in both directions, so can connect one input to either of two outputs, or either of two inputs to one output. Voltages in the range -8V...+8V at the O/I resp. I/O sockets can be processed by the module. Two LEDs show which in / output is active (i.e. which is connected to the common out / input).